← Council of Canadians asks: Is Biomass Energy Sustainable? Lichens are especially abundant and diverse in moist forests along the Atlantic coast of Nova Scotia, here in the Terrence Bay Wilderness Area. Lichens can indicate levels of air pollution, and can be used to monitor the “ecological integrity” of a site. Writing in the Halifax Examiner, Linda Pannozo highlights lichens and lichenologists (lichen specialists) in Nova Scotia, and reveals some of the struggles involved in protecting the endangered boreal felt lichen and other species from the ravages of clearcutting. It’s a revealing story, and I can imagine that the scientist involved is walking on egg shells, no fault of his own for sure other than doing his job as a scientist – he regularly publishes his work on lichens in peer reviewed journals. I attended the annual MTRI scientific meeting for the first time this year; the topic was “Old Forests Conservation Science”. It’s one of the few venues where you can meet and interact with a number of the NSDNR and NSE scientific staff, but as I noted in my post about the meeting, there is a kind of unstated understanding that discussion of the “politics of forestry” is taboo. There was some discussion here and there about impacts of clearcutting on conservation of Old Forests, but the government scientists did not join in. Nor did Mr. Eddy. That’s not good for the science that NSDNR Minister Lloyd Hines loves to say is the basis of all harvesting decisions made by NSDNR. View Muzzling the Forest Keepers. A Guide to boreal felt lichen and DNR message control by Linda Pannozo. For lichens, there are many peer reviewed articles by Nova Scotian scientists from within (notably R.P. Cameron) and outside of government. In fact the case for expanding the protective zone around boreal felt lichen in Nova Scotia from 100 to 500 meters, which NSDNR apparently opposes, is much better supported by peer reviewed, published scientific research than the case for clearcutting a large proportion of Nova Scotia forests, which NSDNR advocates. Cameron, R.P. 2002. Habitat associations of epiphytic lichens in managed and unmanaged forest stands in Nova Scotia. Northeastern Naturalist 9: 27-46. Maass, W. &D. Yetman. 2002. COSEWIC status report on the Boreal Felt Lichen (Erioderma pedicellatum) Atlantic population boreal population in Canada. Committee on the Status of Endangered Wildlife in Canada. Ottawa. Selva, S.B. 2003. Using calicioid lichens and fungi to assess ecological continuity in the Acadian Forest Ecoregion of the Canadian Maritimes. The Forestry Chronicle, 79(3), 550-558. Cameron, R.P., Neily, T., & Richardson, D.H.S. 2004. Macrolichen indicators of air quality for Nova Scotia. Northeastern Naturalist, 14:1-14. Richardson, D.H.S. & R.P. Cameron. 2004. Cyanolichens: their response to pollution and possible management strategies for their conservation in northeastern North America. Northeastern Naturalist, 11: 1-22. Cameron, R.P & Richardson, D.H.S.2006. Occurrence and abundance of epiphytic cyanolichens in Protected Areas of Nova Scotia, Canada Opuscula Philolichenum, 3: 5-14. Cameron, R.P. & Neily, T. 2008. Heuristic model for identifying the habitats of Erioderma pedicellatum and other rare cyanolichens in Nova Scotia, Canada. The Bryologist 111(4):650-658. McMullin R.T., Duinker P.N., Cameron R.P., Richardson D.H.S. & Brodo I.M. 2008. Lichens of coniferous old-growth forests of south western Nova Scotia, Canada: diversity and present status. Bryologist 111: 620-637. Cameron RP. 2009. Are non-native gastropods a threat to endangered lichens? Canadian Field-Naturalist 123: 169-171. Neily, Tom and Frances Anderson. 2010. Leptogium hibernicum Mitch. ex P. M. Jorg. discovered in North America. The Lichenologist. 42: 629-630. Selva, S. 2010. New and interesting calicioid lichens and fungi from eastern North America. The Bryologist 113(2):272-276. Cameron, R.P., Neily, T., Claydon, S.R. 2011. Distribution prediction model for Erioderma mollissimum in Atlantic Canada. The Bryologist 114(1):231-238. Clayden, S.R., Cameron, R.P., and McCarthy, J.W. 2011. Chapter 4: Perhumid coastal and montane forests of eastern Canada. 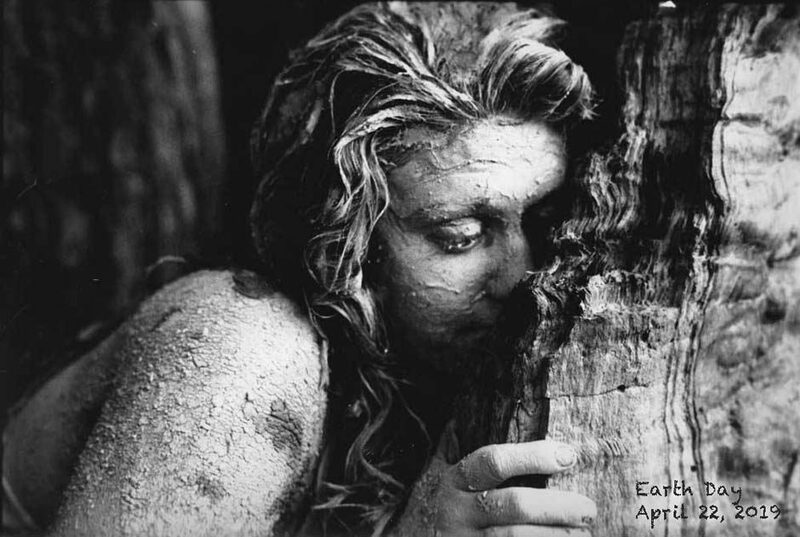 In Temperate and boreal rain forests of the world. Edited by D. DellaSalla. Island Press, Washington, D.C. Environment Canada 2011. Management Plan for the Frosted Glass-whiskers (Sclerophora peronella), Nova Scotia Population, in Canada. Species at Risk Act Management Plan Series. Environment Canada, Ottawa. iii + 11 pp. WWW.sararegistry.gc.ca and http://publications.gc.ca/collections/collection_2011/ec/En3-5-18-2011-eng.pdf). Anderson, Frances and T.H. Neily. 2012. New and Noteworthy Macrolichen Records for Nova Scotia. Evansia. 29(1):1-3. Jolanta Miadlikowska, David Richardson et al. 2014. 101(7) Phylogenetic placement, species delimitation, and cyanobiont identity of endangered aquatic Peltigera species (lichen-forming Ascomycota, Lecanoromycetes). American Journal of Botany 101(7):1141-1156. Curious about lichens? See McMullin, T. and Anderson, F. 2014. Common Lichens of Northeastern North America. A Field Guide. New York Botanical Garden. View An Interview with Dr. Troy McMullin, Author of Common Lichens of Northeastern North America. 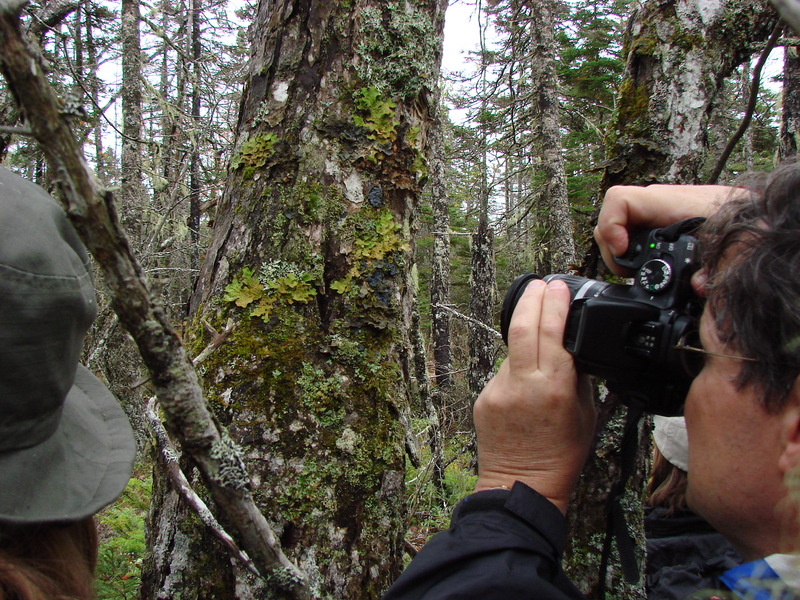 Join Nova Scotians’ love affair with lichens and the forests in which they thrive. This entry was posted in clearcuts, Conservation, NSDNR, Show Us the Science. Bookmark the permalink.